Your Future at Enertech is Wide Open! Enertech is a leader in engineering, technology deployment, and construction services for the wireless industry. 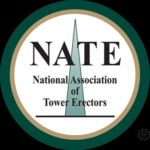 Our proven track record for safety and quality position us to work with the nation’s major wireless carriers, tower owners, and technology providers. As one of the largest wireless infrastructure companies in the industry, our breadth of knowledge and technical expertise helps our customers design, build, optimize, and maintain reliable wireless networks. Safety is who we are. Quality is what we do. Commitment is what Enertech offers you. on doing the job the right way – regardless of the obstacles – and the safest way. If this describes you and you are interested in working with people who share these same values, we want to hear from you! Enertech always has a need for more people with this approach. At Enertech, I enjoy our people and the diversity of the work. I feel that I’m appreciated, trusted, and given the independence, flexibility, and motivation to get things accomplished! Enertech is a positive, family oriented work place. Enertech has a great team of people in the field and in the office, that work together to get the job done! you will find an excuse. boxes, "I left a voice mail"
Financial planning through our 401(k) program. Enertech encourages a healthy lifestyle by providing paid time off to our valued team members. Enertech recognizes that our greatest assets are the employees who make this company a success. Our employees are also our best resource for identifying talent like yourselves, with similar work ethics, drive and commitment, for career opportunities with the Enertech Team. To help facilitate the hiring of skilled personnel, Enertech welcomes current employees to recommend candidates for open positions, and to show our appreciation, we will compensate with a paid bonus for the referrals that are hired. Some restrictions apply, and our recruiting manager will be happy to explain the details of the program. Yes, Enertech provides extensive safety training for those employees who work out in the field. In addition, Enertech promotes career advancement to all employees by investing in continuous functional skills training as well as professional and leadership development. Enertech stands firm in its commitment to provide each employee with the proper training, equipment, and support services necessary to successfully perform in the field and prevent accidents. The Field Support Center (FSC) is the heartbeat of the Enertech safety and quality programs. The FSC serves Enertech employees and delivery partners by tracking all job sites, work crew locations, vehicles and equipment (via GPS) as well as acting as a help desk for all field activities. The FSC answers an average of 1,500 calls per week. In addition to answering questions and documenting field work, the FSC serves a critical function in helping to emphasize safe work practices on each call. Through a proprietary online database, the FSC monitors the safety and training credentials for all Enertech employees and delivery partners to ensure that all certifications are current and that all personnel on a work site have the proper training. 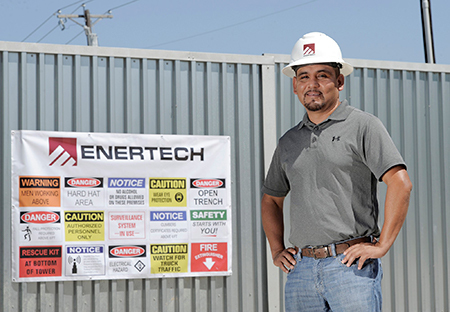 Enertech realizes that the key to building a safe, productive, and sustainable workforce is to implement industry-recognized best practices in training as well as training facilities that create a realistic and challenging environment for the trainee. 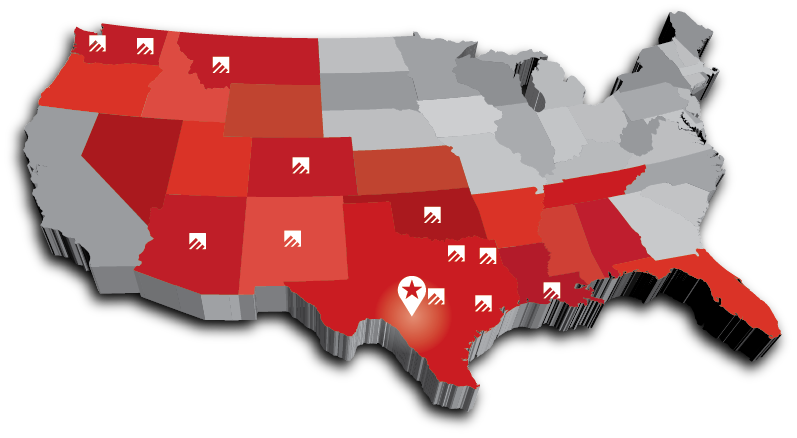 Enertech has multiple training facilities including our New Braunfels, TX headquarters and Dallas, TX locations. All training locations incorporate extensive classroom instruction as well as hands-on, outdoor cell tower experience for the training of all new hires that work in the field as well as on-going training of existing field employees. 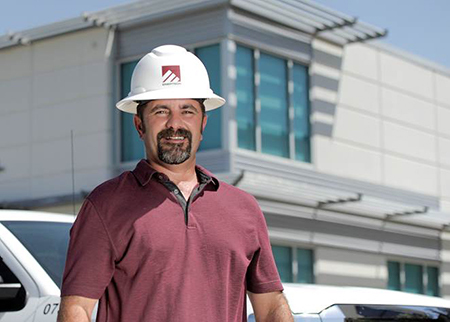 The Enertech team leads the wireless industry in safety training initiatives. Your service in the military puts you on the fast track to a career in the exciting and growing wireless infrastructure industry. We have many opportunities that put your knowledge, skills and commitment to good use. Review the list of open positions at Enertech here. professional development plans are available. Talk with our Recruiting Manager to inquire about our university and technical school partnerships.